Creativity in aisle 4! 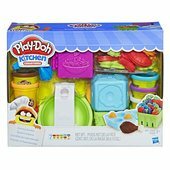 Now aspiring chefs can stock up their Play-Doh kitchen with the most colorful pretend ingredients imaginable. 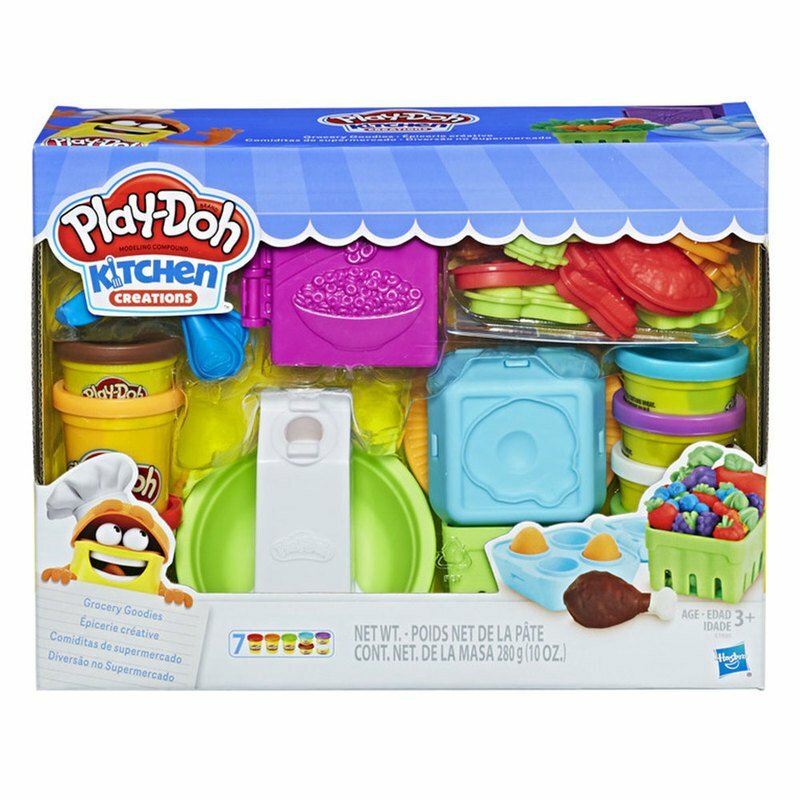 Packed with creative fun, this supermarket set features over 20 pieces, 7 Play-Doh cans, and has everything that a chef could need for their next Play-Doh culinary masterpiece. Squeeze imaginary ingredients like make-believe milk or pretend pasta from the milk carton. The cereal box is a book-mold that shapes all kinds of silly cereal, or take a crack at shaping 4 imaginary eggs with the egg carton. Fill the berry basket with lots of pretend berries, and the stampers feature make-believe meats, silly veggies and fruits, and other fun Play-Doh foods. The 2 creation cards feature 4 step-by-step how-tos for more fun things to make. With Play-Doh Kitchen Creations, the best ingredient of all is imagination! 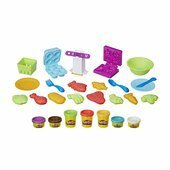 Includes 10 food stampers, cereal book-mold, egg carton book-mold, milk carton extruder with rail, berry basket mold, bowl, 2 plates, fork, knife, spoon, 2 creation cards, and 7 cans of Play-Doh® Brand Modeling Compound (net weight 10 ounces/280 grams). Product and colors will vary. Compound not intended to be eaten. Notice to Parents: Contains Wheat. Non-Toxic. Conforms to: ASTM D-4236. To clean, allow to dry, then scrape or vacuum. Molded results vary depending on child’s age and level of skill. Hasbro, Play-Doh and all related terms are trademarks of Hasbro.